The problem with a provisional application is that it enables applicants to file patent applications that do not adequately describe the invention. The USPTO does not examine or look at the content of the provisional application. So as long as you send a properly completed provisional coversheet, a document that purports to describe your invention, and pay the filing fee, the USPTO will probably not object to it. Whether your application described the invention in great detail or whether it is a “back of the napkin” submission, the USPTO will probably treat it the same. You will receive an official filing receipt and think you are protected. But the difference between an adequate description and a back-of-the-napkin description may be the the difference between having a chance to obtain a valid patent and having no chance. It is the content of the application that matters regardless of whether you have a official filing receipt. And the USPTO will probably not tell you that you have not adequately described your invention when filing a provisional application. Instead, there is a fair chance that you will not find that out until it is too late to fix. For an example, let’s look at the case of New Railhead Mfg., LLC v. Vermeer Mfg. Co., 298 F. 3d 1290 (Fed. Cir. 2002). This is not a case of a back-of-the-napkin type provisional submission, but is it a case where the provisional application failed to adequately describe the invention claimed in the patent. As a result, New Railhead’s patent was invalid. Therefore, it is helpful in illustrating the potential problem with provisional patent applications. 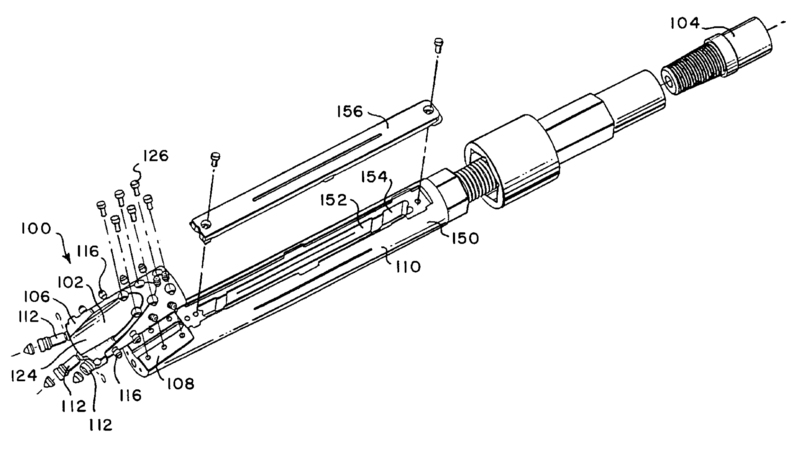 New Railhead Manufacturing sued Vermeer Manufacturing Company for infringing US Patent 5,899,283 (the ‘283 patent) on a drill bit for horizontal drilling in rock. The application that became the ‘283 patent claimed priority to a provisional application. Here is a copy of Railhead’s provisional patent application. What you’ll notice is that it is missing some sections you would normally see in a non-provisional application, such as the brief description of the drawings, the summary of the invention, and claims. 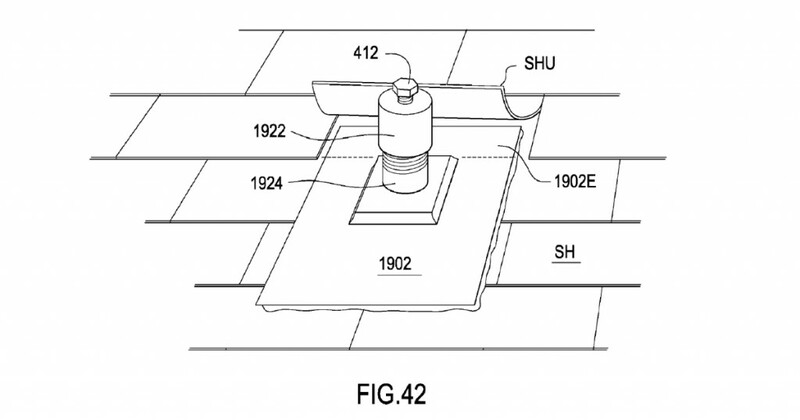 Also, if you compare the provisional application to the issued ‘283 patent, you’ll notice that the drawings of the provisional are not labeled with numbers to the extent that they are in the patent. So the provisional lacked some of the sections and formalities that you would find in a non provisional and that you see in the issued ‘283 patent. But regardless of formalities, the question to consider is whether the provisional disclosed the invention claimed in the ‘283 patent. Railhead argued that one of ordinary skill would readily understand the angled bit body with respect to the sonde housing based on the totality of the provisional application. But this argument didn’t fly. This is were a lot of inventors and engineers get tripped up. The court said, “It is not a question of whether one skilled in the art might be able to construct the patentee’s device from the teachings of the disclosure [but] whether the application necessarily discloses that particular device.” The written description requirement is stricter than what one skilled in the art would know. Therefore inventors and engineers may tend to leave out details that one skilled in the art would know, where it would be better to error on the side of caution and include those details. When a patent attorney drafts an application the attorney often notices what appear to be gaps. When those gaps are brought to the attention of the inventor, it is not uncommon for the inventor to view the purported gap as something one skilled in the art would know. Nevertheless, to avoid a problem with the written description requirement, those gaps are often filled. Railhead admitted that it sold the patented drill bit more than one year before the filing date of the non-provisional application. The sale of a product more than one year before the filing of an application is prior art to that application. Therefore Railhead needed the benefit of the provisional application to avoid the patent being invalid over its own sale of the product. When Railhead could not rely on the provisional application filing date, the patent was found invalid. The end result was as if Railhead had never filed a provisional application at all. The problem with a provisional application is that it enables applicants to file patent applications that do not adequately describe the invention. But, that problem can be solved by drafting a provisional application with substantially the same level of detail as you would draft a non-provisional application. When doing so there is nothing wrong with filing a provisional and it can protect the invention in the same manner as a non-provisional patent application. The bottom line is that the content of the application matters. And whether its a provisional or a non-provisional, the content of the application must adequately describe the invention. One problem that individuals, startups, and small businesses face is they need to publicize the invention to obtain feedback to know whether it will be a commercial success. But patent law encourages you to file a patent application before you make your invention public. Do you spend money on having a patent application filed before you have commercial feedback on your invention? The answer with the safest patent position is yes. But the business ideal is to know the commercial prospects before investing substantial sums in the invention and its protection. The provisional patent application is intended to address that problem by reducing the cost and reducing certain formalities required to file a provisional patent application. Therefore you can get something on file before going public. 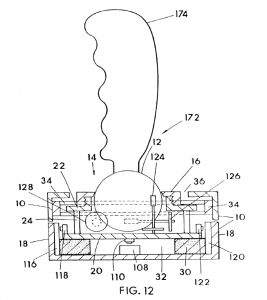 However, the patent application must still adequately describe the invention. And those cost and formality reducing features of the provisional application increase the risks that the provisional will not support claims in a later non-provisional application, as explained above. There may be situations where the client has to decide how safe it/he/she wants to be from a patent prospective. There might be scenarios were lack of time or lack of money results in the client deciding to take on more risk. Maybe you didn’t think of filing a patent application until just prior to a public showing, a launch, or sales presentation to a customer. Maybe you don’t have the funds to pay a patent attorney to prepare a full patent application at the present time. Maybe you do not sufficiently know whether this invention commercially justifies the expense of preparing a full patent application. In business, each owner and decision maker must decide what risks they are going to avoid and which they are willing to bear at any particular time. An attorney prepared patent application is ideal. And if you can’t or don’t want to hire an attorney to draft a full patent application at earliest time, then you are probably going to end up taking some risks. Anascape sued Nintendo alleging that Nintendo’s game controller infringed U.S. Patent 6,906,700 (the ‘700 patent). Nintendo challenged the ‘700 patent asserting that it did not comply with the written description requirement of 35 USC 112. The claims of the ‘700 patent were directed to a controller that received multiple inputs that were together operable in six degrees of freedom. But, the ‘700 patent was issued from a continuation application that claimed priority to a prior parent application (that became U.S. Patent 6,222,525 (the ’525 patent)). The ‘525 patent only disclosed a single input member (controller) capable of movement in six degrees of freedom. The ‘525 patent repeatedly referenced (over twenty times) the input member as a single input member. It also disparaged the prior art devices having multiple input members. The court concluded that the ‘525 patent did not disclose multiple input members, but rather only a single input member. Therefore, the ‘700 patent failed to meet the written description requirement for multiple inputs to obtain the benefit of the filing date of the ‘525 patent. Intervening prior art existed between the filing of the ‘525 patent and the filing of the ‘700 patent. Therefore, without the benefit of the earlier filing date of the ‘525 patent, the claims of the ‘700 patent were invalid and Nintendo avoided infringement. 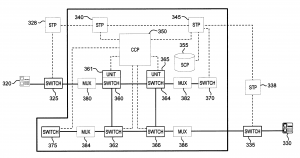 Given the repeated use of “single input member” and the disparagement of multiple input members, it appears that the original ‘525 patent was intended to be limited to only a single input member. That is, it was not a drafting error that a variation of the invention with multiple input members was omitted. Nevertheless, this case demonstrates why when drafting a patent application, it is important to account for multiple variations of the invention. You should think about what components can be multiplied and describe those in a manner that can account for such versions of the invention. The use of exclusively restrictive language like “single” or “only one” may confine a patent resulting on your invention. The written description requirement is separate, and arguably more stringent, than the enablement requirement. Further, the courts have been strict in asserting that it is not enough to assert that claimed variation is obvious in light of what was disclosed. Rather, to be safe, the variations should be clearly explained in the description. Clients often wonder why a patent application on a relatively simple invention is relatively long. The answer is that even the most simple inventions are not simple to describe properly in a patent application. To write a strong patent application, the invention needs to be described to a level of detail that many clients would not have thought necessary. Its not unusual that a client brings a 3 to 5 page provisional patent application that the client wrote themselves, and the non-provisional application I write is at least three to four times as long, or 15 to 20 pages or more. This is why DIY patent applications are difficult to write well (but there are options and trade-offs when money is tight). The details and length are necessary because that content lays a foundation for a potentially broad patent. That detail in the patent application should include, were possible, a description of alternative ways of making and/or using your invention. Patent attorneys call these alternative ways of making and/or using your invention, different or alternate embodiments of the invention. To illustrate why it is important to describe alternative ways of making and/or using your invention, we can look at the case of Tronzo v. Biomet, Inc., 156 F.3d 1154 (Fed. Cir. 1998). 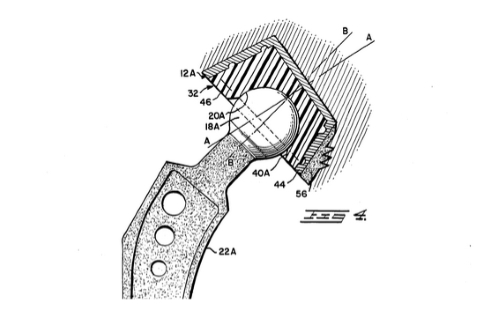 In the Trozno case, the patent owner obtained Patent 4,743,262 (the ‘262 patent) on a cup for a hip replacement device. The parent patent application of the resulting the ‘262 patent only described the cup as a “conical cup.” The patent claim did not include the conical limitation for the cup. So the patent claim was to a generic cup, without limitation to the shape of the cup. The defendant’s device used a hemispherical cup. So the question was whether the description of “conical cup” adequately supported the claim to a generic cup. If so, the claim would cover more than just conical cups but would cover cups of other shapes, such as the defendant’s hemispherical shaped cup. If not, the claim was not entitled to the filing date of the parent application for failing to comply with the written description requirement. The written description requirement in patent law provides that the patent application must “contain a written description of the invention, and of the manner and process of making and using it.” Courts have said to meet the written description requirement that application must reasonably convey to one of skill in the art that the inventor possessed the claimed subject matter at the time the application was filed. In the Trozno case, the court found that the parent application only described one shape of cup, the conical shaped cup. The patent owner’s attempt to claim the broader generic cup was overreaching beyond was described in the application. The end result was that the claims were invalid and did not cover the hemispherical cup in the product provided by the defendant. There you have it. The court tells you how to get broader coverage. You get broader coverage by providing a description of a number of different shaped cups in the application. The application might have used language such as, “a cup is provided, the cup may comprise a rounded shape, a hemispherical shape, conical shape, a cylinder shape, an elliptical shape” etc. Of course, it is important to list shapes or variations that would actually work in the invention. But the point is that you want to list alternate variations of the components and aspects of the invention.